To book your practical test online follow these simple practical driving test guidelines step by step. Debit or credit card on your name if you don’t have one then you can use someone’s debit or credit card with their permission. If you want to check your driving instructor’s availability then you need their personal reference number ( ADI Badge number). It cost £62 to book on weekdays and £75 if you book your practical driving test on evenings, weekends or bank holidays. Once you have book your test you will get confirmation email in the email account provided at the time of test booking. You can look for earlier driving test dates or cancellations. Cancel your test anytime. Full refund will be issued if you give at least 3 clear working days notice. You can change the test centre if you want to take test at a different test centre. Must take your UK provisional driving licence. Driving Test last for about 38-40 minutes. First you sign declaration that your health has not changed since you applied for provisional driving licence and car has appropriate insurance for test purposes. Examiner ask you to read vehicle number plate from 20 metres if it’s new and 20.5 metres if it’s an old style number. Two car safety check questions called “show me tell me“ questions. Tell me question before you start driving test. Show me question while you driving. General driving ability on different type of roads and traffic conditions. You will be asked to do one reversing manoeuvre ( Pull up on the right side of the road and reverse for about 2 cars lengths, Parallel parking, Park in the parking bay and reverse out or Reverse bay parking). Examiner will ask you to drive independently for about 20 minutes either following directions from sat nav (Examiner will set the Sat Nav for you) or follow series of road signs. Examiner give you directions in good time that you should follow. You will be asked to do normal stops in a safe place, hill start and angle start ( move off from behind parked car). You will pass your driving test if you do no more than 15 minor driving faults. No serious or dangerous faults are allowed also called major driving faults. The examiner tells you at the end of the test if you pass or fail. Give you a pass certificate if you pass the test. Tells you what faults you have made. Give you a copy of driving test report sheet. 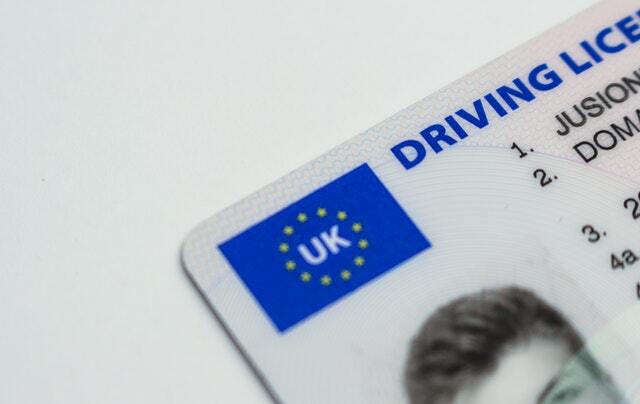 Examiner keep your provisional licence if you want to get your full driving licence automatically through post. Must apply for fully driving licence within 2 years if you want to send it yourself. You can start driving straight away if you pass your test. You don’t need to wait for full driving licence. Make sure you have valid insurance before you drive a car. Car is taxed and valid MOT. Contact DVSA test booking service if you want to book by phone. I hope you have found this post informative. Subscribe to Adriving or follow us on Facebook, Twitter and Google+ for updates. Find Adriving on Goolgle Maps. How to find good driving school near you. Recommended guidelines for nervous learner drivers 2019.